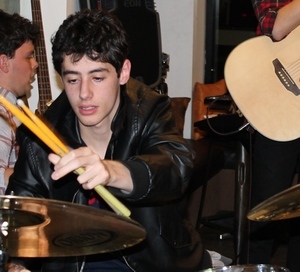 TEACHER OF DRUM KIT, ORCHESTRAL PERCUSSION, WORLD PERCUSSION & SNARE. Now taking a limited number of students! I'm currently teaching 15+ students, ages ranging from 6 to 65 yrs old. The School Locker Music Rooms, Liverpool. 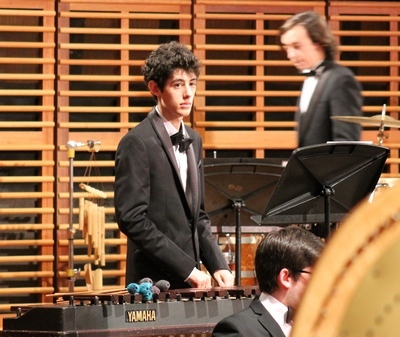 I am an Orchestral Percussionist and Music Theory Teacher, presently at the Conservatorium Of Music, Sydney University, studying Music Eduaction. I am situated in South West Sydney - Campbelltown / Liverpool areas. I have taught in High Schools & Primary Schools. - one-on-one and in groups. Email me or call me on 0410 607 555 for an appontment or more information. I wasn't born to play music.... or rather I just didn't know I was. In fact, at 8 years old I had little interest in music outside the sounds of crickets and cecartas - I wanted to be an etomologist. One day the school snare drum teacher, after taking his $8 per 1/2 hour lesson, said I was wasting his time. I decided he was wasting mine by making lessons sooo boring. I convinced my parents to get a real teacher and started to learn Drum Kit which lead me to tuned percussion including the Marimba, Xylophone, Vibraphone, Glock, Tubular Bells.... the list goes on. I decided, in year 10, that a career in music was the way to go. Unfortunately, my school was not set up for anything but basic music classes so all tuition was done through private teachers, of which I had four. They lifted me to where I am now - studying Music and Teaching accross 2 University campuses including the Sydney Conservatory Of Music. I would like to do what those four teachers did for me - only in one package - to give tuned percussion, music and/or drum kit tuition to two students that want beyond what the school education can supply.